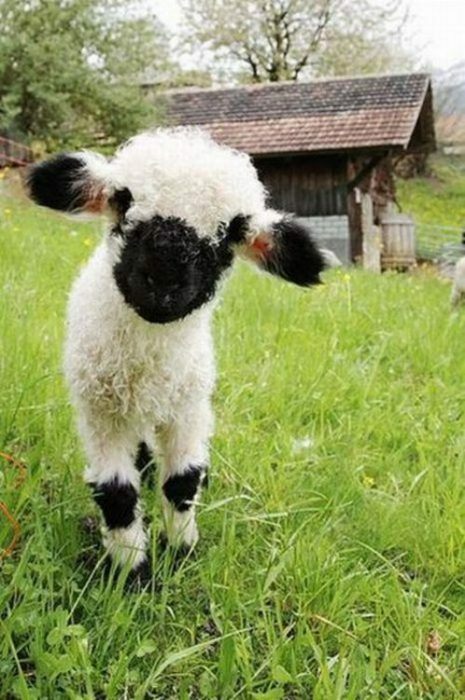 Do you like cute and fuzzy sheep? 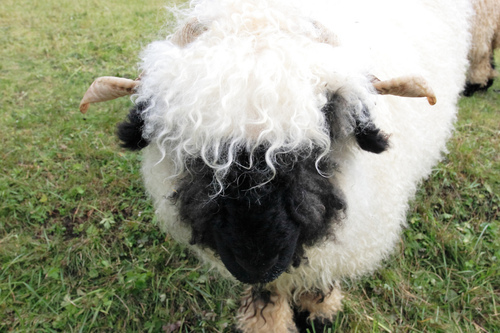 Have you ever seen the Valais Blacknose breed? 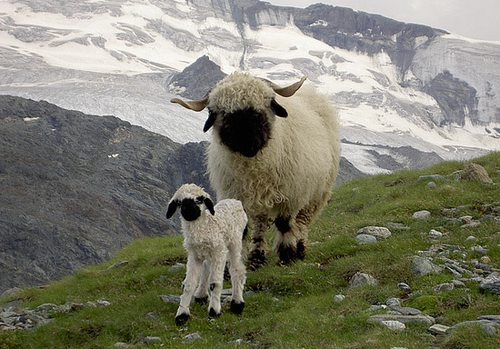 The Valais breed (Walliser Schwarznasenschaf in German) is originally from the Valais region of Switzerland, and is often kept in Switzerland and Germany. It has coarse wool and is usually raised for meat but can also be used for its wool. 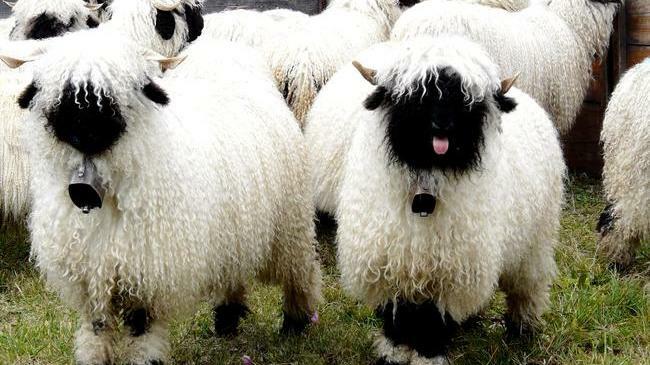 I love this breed for its fluffiness, black face and patches on legs, and curly horns. It is also extra adorable when they have giant bells around their necks! 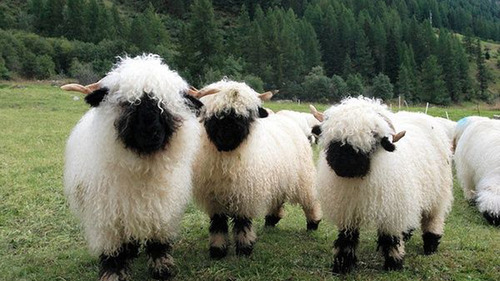 If you have Facebook and love these sheep consider liking the US Fan Club. do you know someone sell the wool? Unfortunately, I do not know anyone. But if I do find it I can update my post. Are they available in the US? If not, can they be imported? I’d be interested in breeding them if they are legal and available. I do not know of any US based breeders or available stock. I am not sure if the issue is legality of import, or simply the cost to get a few breeding animals to the US from Switzerland. I am guessing it is very expensive to buy one in the first place, plus the cost of transport, and paperwork etc. involved in importing them into the country.